The golf course is closed for the season and Frank is finally enjoying a few days off. He loves his work but during golf season he has one day off a week - that just isn't enough time to get into a DIY project. So with a few extra days off this week he organized and rearranged the furniture in the office. It's looking good. I think he'd get upset if I took a picture right now because he hates the lime green walls. There is a lot less furniture in that small room now, and more items to sell on Kijiji. 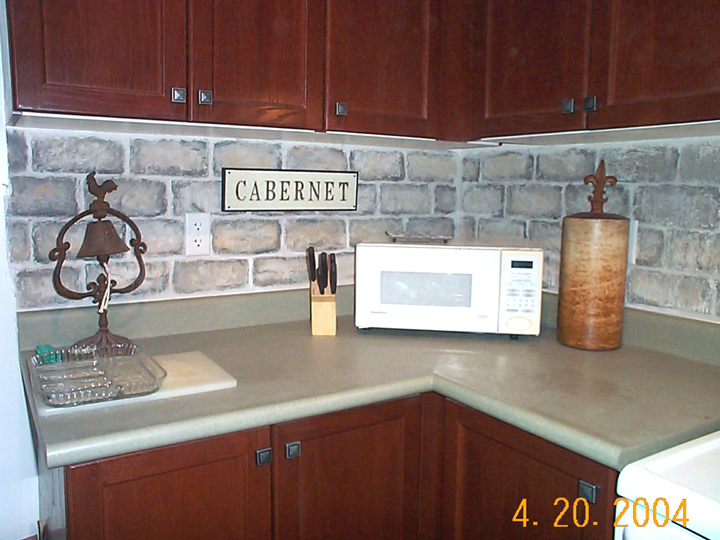 Time to trade the modern frosted glass desk for rustic distressed pieces with a story to tell. Anyhoo, I'm going to be away from home for a week so who knows what might be done by the time I get home ... walls primed and ready for Butter Cookie Yellow paint? 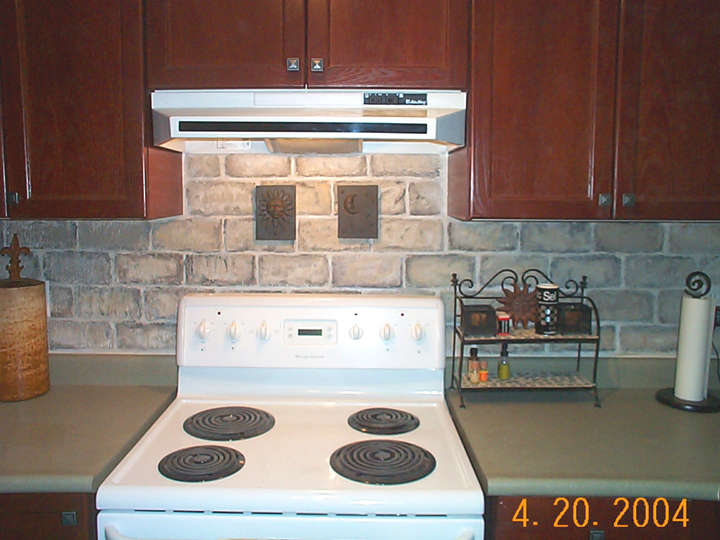 Perhaps the faux brick/stone may be sculpted on the fireplace wall and ready for me to paint. 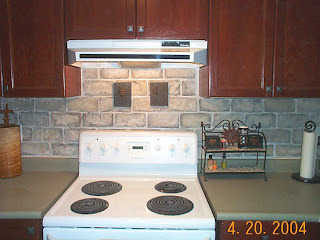 Stay tuned for the final results, it would be nice to have a stone wall and mantle to adorn with Christmas decor! I'm interested in your frosted glass desk... just sayin. Our winter project is to revamp our office. Need new furnture and perhaps you may be interested in my desk. More country than not. Oh wouldn't that be nice to come home to. Can't wait to see that done... I bet it will be to die for. 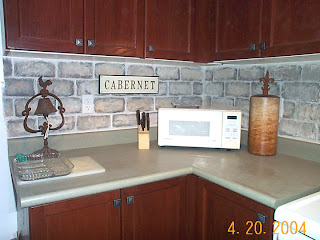 Love the backsplash, could have fooled me that was faux... gorgeous job. Hope you are having a great week Joanne. I can't wait to hear and see how your husband will sculpt the stone. It would be great if you could post the entire process.